Last year’s flu season reached record-breaking numbers in the U.S. according to the Center for Disease Control and Prevention (CDC). The flu spread to 48 U.S. states and Puerto Rico. It was responsible for 14,676 hospitalizations in 2017. What’s worse is that nine children died from the flu in 2017. With these kinds of alarming numbers, protecting workers from illness should be a priority. Promoting proper hygiene and cleanliness habits in the workplace is one way to help stop the spread of illness. But to go a step further, taking cleanliness into your own hands with professional janitorial services is a great way to ensure the wellness of your team. Office bathrooms are the number one place for germs to hide. On average, one in four people do not wash their hands after using the restroom. This makes door handles especially keen for spreading germs from one person to another. Small businesses that have one bathroom for employees and clients are especially susceptible to spreading illness. Professional janitorial services provide both cleaning and sanitation services to rid your restroom of these germs. Office carpets can be especially rich with germs because of the sheer amount of people that pass through the workplace. The fibers of carpet can hide Norovirus, Staphylococcus aureus, spores and fungi, and countless other germs. Regular vacuuming and shampooing can keep these illness and allergy causing bacteria at bay. Keyboards, telephones, and other office supplies around your employees’ desks can harbor a wealth of germs as well. The flu virus can actually last on hard surfaces for up to 24 hours, increasing the likelihood of spreading illness. This can be especially harmful to shared desks and computers in places like call centers and retail centers. Enlisting regular cleanings from professional janitorial services can make all the difference. 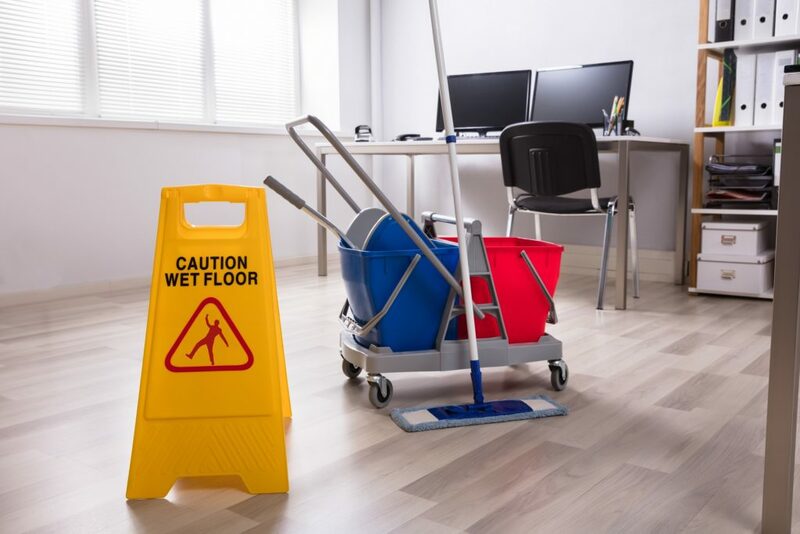 When you outsource cleaning responsibilities to professional janitorial services, you can expect your employees to benefit. Disinfecting the office space can stop the spread of flu and cold viruses. According to the CDC, U.S. workers lose 111 million workdays which cost around $7 billion a year. If you are interested in keeping your employees safe from the flu virus, be sure to contact us at Monarch Building Services. We offer a wide variety of services to help you and your business stay clean and illness-free!